Salem, Ind. 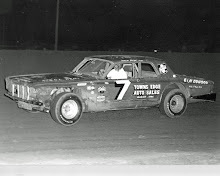 (June 9, 1974) – No one could touch Bruce Gould at Salem Speedway as the Milford, Ohio driver dominated the 100-lap main event after earlier sweeping fast qualifying honors and the trophy dash in the ARCA-sanctioned national championship late model program. 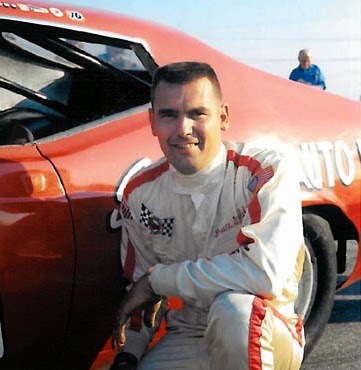 Gould raced his Stricker Auto Parts 1972 Ford past defending ARCA champion Ron Hutcherson of Keokuk, Iowa, on lap 9 of the main event and led second place finisher A. Arnold of Brooks, Ky., by nearly half a lap at the completion of the 100-lap feature. 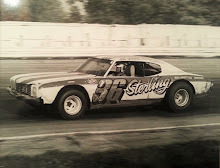 Larry Clemens of Sellersburg, Ind., finished third in his spectacularly successful 1973 AMC Javelin prepared by his brother, ARCA veteran, Bill Clemens. For Gould, the win was his first for the season in only his second outing this year in the Cincinnati-based Stricker Ford, which he raced to a record 11 ARCA feature victories on his way to winning Rookie of the Year honors. Gould and Stricker parted ways after the ’73 season but the reunion proved extremely successful as he outclassed the competition in an awesome drive. 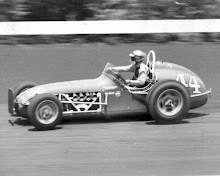 In the 100-lap feature race, Gould started from the pole position but Hutcherson stormed past him at the opening green flag only to hold the top spot for 9 laps before Gould’s red Ford shot underneath him and into the lead. 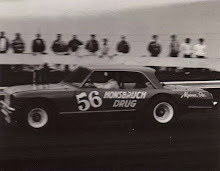 With Gould literally leaving the rest of the 24-car field behind, a race-long battle for second place erupted between Bobby Watson, Hutcherson and Jesse Baird. Baird quickly dropped off the pace with engine problems and Watson eluded Hutcherson until ignition failure sidelined him on lap 38. The gremlins struck Hutcherson 7 laps later when he retired with heating problems, leaving Arnold and Clemens in a ferocious battle for the runner-up spot. Clemens pushed his Javelin to the limit and managed to stave off Arnold until lap 72 when a serious blistering right rear tire made him lift just enough for a determined Arnold to seize command of second place. 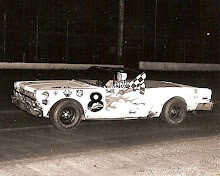 Immediately behind the battle for second, Leonard Blanchard and Kenny Simpson waged a similar tussle for the fourth spot, running wheel to wheel until the final lap, with Blanchard across first by barely a car length.